With the release of Manikarnika: The Queen Of Jhansi last weekend, we watch Sohrab Modi's 1953 version of Jhansi Ki Rani to find what has changed in the narration of the legend of Laxmibai. Khoob ladi mardaani / Woh to Jhansiwali rani thi! These lines from Subhadra Kumari Chauhan’s poem ‘Jhansi Ki Rani’ went on to become a catchphrase that cemented the legend of rani Laxmibai during the Indian freedom struggle. Written by a woman, about a woman, to inspire women during the freedom struggle, the poem has achieved something few literary works manage — timelessness. While the ordinary person on the street may not remembers the poetess, everyone knows the verse. In Kangana Ranaut, the verse finds its latest carrier. 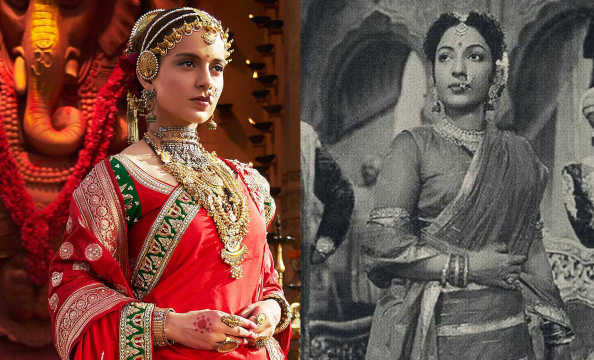 The actress turned director with Manikarnika: The Queen Of Jhansi. Like the legendary queen, Ranaut also took over the reins of the venture after director Krish walked out midway owing to ‘differences’. The film arrives at the right time, when biopics and big movie spectacles and nationalist fervour are being lapped up by audiences in theatres. 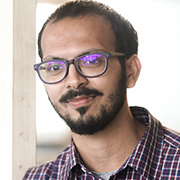 The Baahubali franchise (2015, 2017), Bajirao Mastani (2015), Padmaavat (2018) and the influx of Marvel movies have proved that audiences are willing to lap up mythology and heroism served in the right manner. This is not a new trend. Sohrab Modi mastered the art of the movie spectacle long before filmmakers like K Asif ventured into filmmaking. 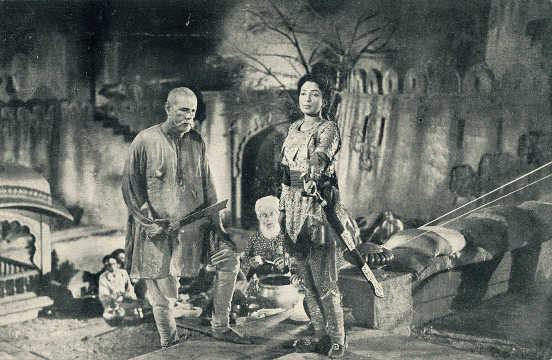 Films like Pukar (1939), Sikandar (1941), Prithvi Vallabh (1943) and Mirza Ghalib (1954) were examples of the Minerva Movietone boss's grand filmmaking style. 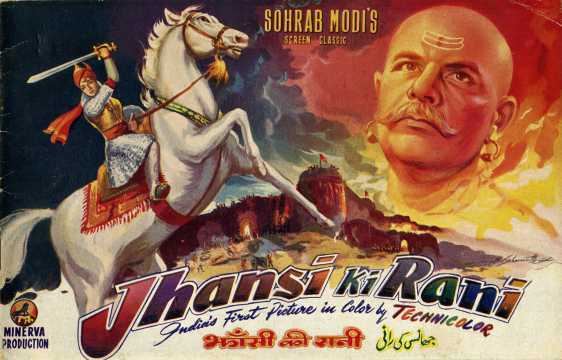 In 1953, Modi became the first Indian filmmaker to attempt to recreate the story of Jhansi Ki Rani. Played by Mehtab, the film remains a benchmark in telling the story of a woman who rose to power, fought for freedom, and remained a powerful figure for the 1857 revolt against creeping British rule. Modi crafted the film to historical accuracy with the superb technical assistance of Academy award-winning cinematographer Ernest Haller and editor Russell Lloyd. In keeping with his moviemaking ethos, he spared no expense to create an epic tale that remains worth watching. Ranaut and Krish have also created a visually masterful film with some technical excellence. Where they differ from the 1953 film is in the treatment of the story. One viewing of Modi’s film displays the clear character arc of Laxmibai. As she goes from precocious and fearless child to strong, educated, independent queen capable of taking care of her kingdom, Modi crafts the character arc with dexterity. In addition, Jhansi Ki Rani follows the rise of Laxmibai along with that of some key people around her. Her childhood friendship with the young English lieutenant, Henry, who faces her on the battlefield, her husband (Sapru) who sees her grow from child bride to powerful regent, and the rajguru (Modi himself) who holds her in check every time she falters, are characters that have equally interesting arcs. This is where Ranaut’s film meanders. The film introduces us to Ranaut playing the young Manikarnika, who remains front and centre of the film throughout. That is not always a bad thing, for the actress can carry off her role. But the absence of any good supporting character hurts the film. Combined with the portrayal of the British as conveniently boorish and thuggish caricatures robs the legendary queen of an important political opponent. In contrast, Modi focused on the issue of the East India Company’s infamous ‘doctrine of lapse’ as the key point of contention. In Jhansi Ki Rani, the conflict between Laxmibai and the company (not the British crown then) does not escalate until they renege on accepting the king’s last order to crown his courtier’s son as his heir. This adds a greater political dimension to the film, enhancing the dramatic themes of freedom, courage and power. 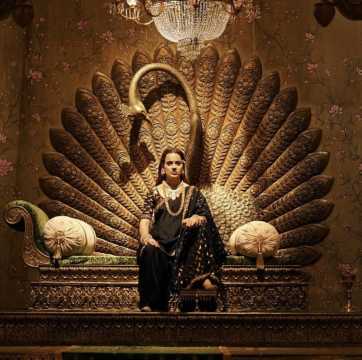 Manikarnika: The Queen Of Jhansi does doff its hat to Modi’s film. In particular, the scene of the queen reminding the English officers of ‘working Sundays’ is a direct reference to Modi’s depiction of the event. Another remarkable similarity is in the scene of Ranaut’s Laxmibai preventing wanton bloodshed by the 1857 mutineers. Both Sohrab Modi and Kangana Ranaut’s films arrive at key moments of nationalistic fervour. Modi’s film was released in 1953, just three years after India adopted its Constitution and Indians found their identity as a secular republic governed by the rule of law. Ranaut’s film similarly arrives in the wake of growing tribal nationalism. Indians — some of them at any rate — are now, more than ever, surging with confidence in their own identity. The film’s portrayal matches the mood in a section of the country where emotions seem to be overpowering logical or even legal action on the political and social spectra. The first war of independence in 1857 was the unification of a ragtag bunch of rulers upon whom the realization of the East India Company’s true intentions had dawned. They each had their motives to fight the English but found common cause in the idea of preserving their way of life against foreign rule. This idea of freedom has found different interpretations across the ages. Where the 1953 film focused on the injustice and underhand methods of the East India Company to seize territory, the 2019 film creates a story that bolsters the legend of a feminist ahead of her times, fighting the crude English while holding patriarchy and conservative tradition at bay. Neither interpretation can claim to be historically perfect. As cinematic works, both films dramatize their character’s life to touch an emotional chord in the audience. 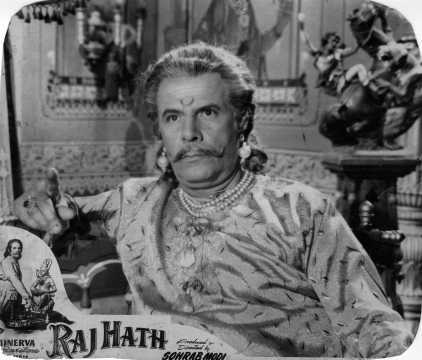 Where Sohrab Modi succeeded was in creating a tableau of characters that help to prop up rani Laxmibai. Kangana Ranaut has attempted to raise the whole scaffolding on her own shoulders. Only time will tell which of the two was more courageous.